Chinese Authors Find Creative Outlets on the Web Chinese novelists were once encouraged to address politics and society through a Communist lens. Now young writers can be as entertaining as they want on the Web. Fu Tian's Voices in the Palace* is a historical romance about China's only female emperor. Back in the days of the Cultural Revolution when Mao Tse Tung was still running China, people passed around bound notebooks of underground literature. "It was very dangerous to copy them and to pass them around," says Perry Link, a professor of East Asian Studies at Princeton University. "You could get in trouble if you got caught." Those notebooks weren't filled with the writings of a Chinese Solzhenitsyn, criticizing the Communist Party. "They were almost all ... entertainment fiction," says Link. "Triangular love stories and detective stories and things like that." The only kind of literature that made it through the government censors — even long after Mao was dead — was dry and boring. It had to have a message about the improvement of communist society. But writer Fu Tian — that's her pen name — does not think about how to make a better China when she writes. As the pale afternoon sun filters through a dusty window in her Shanghai apartment, it lights up her mischievous face as she types. All she wants is to entertain her readers. Fu, whose real name is Zhang Shuyu, creates historical fiction. Her latest book is filled with romance and palace intrigue. "The story is based on Wu Zetian, the only female emperor in Chinese history, and this little girl who is like one of the daughters of the female emperor," explains Fu. "In real history, the princess did not succeed in getting power, but in this novel she is able to." Fu doesn't have to worry about the publishing censors. She has been writing novels exclusively for the Internet for more than a year. She now has thousands of loyal readers. They come to find her books on a Web site called Qidian. Qidian has grown from a small coterie of literature fans to a staff of 70. Many of them are editors who sort through the thousands of novel submissions posted on the site every month. They try and figure out which writers are the best and the most popular, and move those up to the front page. Wu Wung Xao, one of the site's founders and its general manager, says Qidian gets about 200 million page views a day and is one of China's most popular literary sites. Fu Tian quickly drew the attention of readers and editors, he says, because she's "funny and fun." Fu is now being given health benefits and a base salary by Qidian. Her fans must pay 2 cents to read each new installment of her novels. And Fu gets a cut. Manager Wu admits this model doesn't always lead to the most literary fiction. He says on the Internet writing is focused on plot. Writers end chapters on cliffhangers to keep readers' attention. There isn't always much attention to grammar and style. Jo Lusby, the general manager of Penguin Books in China, thinks online lit is in its infancy and is likely to get better as it matures. "I think it's very young," she says. "I think this is young people writing for young people." "The Ghost Blows Out the Light!" she exclaims. "It used to be the biggest hit on the Qidian Web site, and it's being made into a movie." While Fu is elated with the freedom and the opportunity that the Internet is bringing to her and to other young Chinese writers, she admits there are limits. "We have greater freedom than traditional writers," she says. "But it is still not like you can write about [just] anything. You need to do positive things. ... If we can put it this way." Fu cannot write about political topics such as Taiwan or Tibet, for instance. In the old days, under Mao, Chinese novelists were encouraged to address politics and society — as long as they did it through a Communist lens. Now, Fu and the young writers on the Internet can be as entertaining as they want to be, with their cliffhangers, romances and historical fantasies. They just can't write about anything too serious or politically sensitive. For them, the Internet is the great entertainment highway. Editor's Note: Like many Chinese phrases, the title of Fu Tian's novel can be translated in more than one way. Fu herself suggests The Sounds of the Palace, but notes that "certainly that is not accurate." Another translator suggests the title we've chosen here. It was a chilling day in February. The carriages up and down the post road were tightly wrapped in curtains to keep warm for those sitting inside. The wayfarers who couldn't afford a ride had to put up with the cold and struggle to walk forward, with the only hope that they could get a cup of hot tea to warm up their numb body at the next tea stop. There suddenly came a hurried clopping. A carriage quickly raced by, scattering pedestrians to the two sides of the road. Some on the road started to curse the owner of the carriage after it passed by in a large cloud of dust. However, he wisely shut up when he saw a streak of yellow (the color represented the royal family) revealed on the back of the carriage. He knew he should never make imprudent remarks on the first family. Although the carriage was moving smoothly, Su Cui felt restless inside. It was the first time she had ever gone out of her hometown. 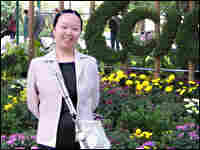 She spent the previous eight years of her life in a small town, living with no other famly members except for Aunt Chen and Uncle Chen. The couple had shown her a picture of her father, saying that he was a well-known warrior. They didn't tell her anything about her mother. However, some visitor came in a hurry a few days ago and said that her mother wanted her to be sent to the capital city. She could still remember the pale faces of Aunt Chen and Uncle Chen when they received the visitor. Although she hated to part with them, her desire to see her mother dominated her mind and she chose to leave the home she had lived for years. "Aunt Jing, what kind of person is my mom like? Is she beautiful? Is she gentle?" Su Cui looked up and curiously asked the woman who came to take her. "Your mom is the most beautiful lady in the world. She is certainly beautiful and gentle, " the woman answered. Su Cui didn't recognize the uneasiness and evasiveness in the answer. Her heart was full of joy. She had just one idea in her mind-Nobody could ever say that she was a motherless child again. Nobody could laugh at her again. With this pleasant thought, she gradually fell asleep. The young woman beside her caressed her hair and suddenly let out a deep sigh. Ignorance might be a good thing sometimes. Let this child be happy, even if it was just for a few days. When they finally reached the capital city, Su Cui didn't see the mother whom she had been longing for day and night. Instead, she was taken to a grand villa where a dozen servants dressed her up with luxurious jewelry and colorful silk clothing. She was treated like a puppet and was put on one dress after another until she could no longer suppress her anger. She threw the coronet of pearls on her head to the floor with all her strength. The shiny beads scattered to the ground, reflecting the scared faces of the servants in the room. She was satisfied with her revenge. Why didn't you explain to me what was happening? At that very moment, a middle-aged man in splendid costume entered the room in a hurry. He frowned at the messy floor and walked quickly towards Su Cui. He looked at her carefully, bowed deeply to her, and then said, "Her Excellency the Queen Mother is coming. You Excellency the Princess, please get ready to welcome her." Su Cui looked up in bewilderment. All she saw around her were strangers with stiff smiles on their faces. A tinge of fear came to her heart. Where on earth was her mother? The floor was swiftly cleaned up, and a new pearl coronet was put on her head, looking exactly the same with the previous one. Everyone rushed around, looking rushed and anxious. She was again put aside alone in her new dress. "Her Excellency the Queen Mother comes!" With the loud announcement, all in the room knelt down and respectfully lowered their body to the floor. Su Cui didn't know what to do. She stood there clumsily, staring at the gate. The front gate was slowly opened. Two exquisite young men came in. They stumbled when they saw her still standing there, and then hurried to get out of the way. Shortly afterwards, another person entered the room. She was a person that Su Cui would never forget about for the rest of her life. Su Cui could swear that the person had a pair of eyes that was brighter than the morning stars. The light contained within the eyes was sharper than knives. Su Cui could not help but lowering her head when she first caught a glimpse of the visitor. But soon she looked up and faced her bravely. She hated her own timidity at the previous moment. She dared to chase after the kids who cursed her at her hometown; she didn't hesitate to catch fish in rapid streams; she could even clinch venomous snakes in her hands while walking on streets. How could she be afraid of a pair of eyes? The person walked slowly towards her. She stopped and looked down at Su Cui when she came close. Su Cui finally saw more features of her ---she was in a loose robe, with dragons and pheonix embroidered on her boots. Her two hands revealed outside of her sleeves were plumb and fair. Although there were silver tinges in her hair, her face looked more majestic than Grandpa Zhao, who was the most intimidating man in her hometown. "Do you know who I am?" she asked. Su Cui shook her head, but she kept her neck straightened up. The visitor finally laughed and lowered her body, so Su Cui could see her face at her eye level. Her desire to see her mother suddenly broke forth at that moment. A question jumped out of her mouth, "Are you my mom?" The visitor suddenly changed her expression from composure to astonishment and then to grief. The next moment, Su Cui felt that she was embraced so tightly that she could hardly breathe. A few beads of warm tears rolled down her neck. A while later, the visitor loosened Su Cui, but still put her hands on her shoulders, and spoke to her word by word, "your mother has passed away. I am the mother of her. I am your grandma." This simple sentence filled Su Cui's heart completely. A strong sense of lost crashed her body, making her motionless. How many times had she imagined the moment of reunion with her mother! How many times had she pictured her and the moment she hugged her! It had never crossed her mind that her mother had already passed away. The staunch world she had built inside her heart instantly collapsed. Her eyes blurred. She lost all her strength. She didn't even know which words she was yelling. At that moment, she felt once again that she was hugged by someone and a voice entered her ears. "From now on, you could treat me as your mother. I will shield you from the wind and the rain. Su, remember, a man doesn't cry easily. A woman is not as soft as water, either. " Su Cui lost a mother she had never seen, but got a grandma. This was her final memory in the eighth year of her life.